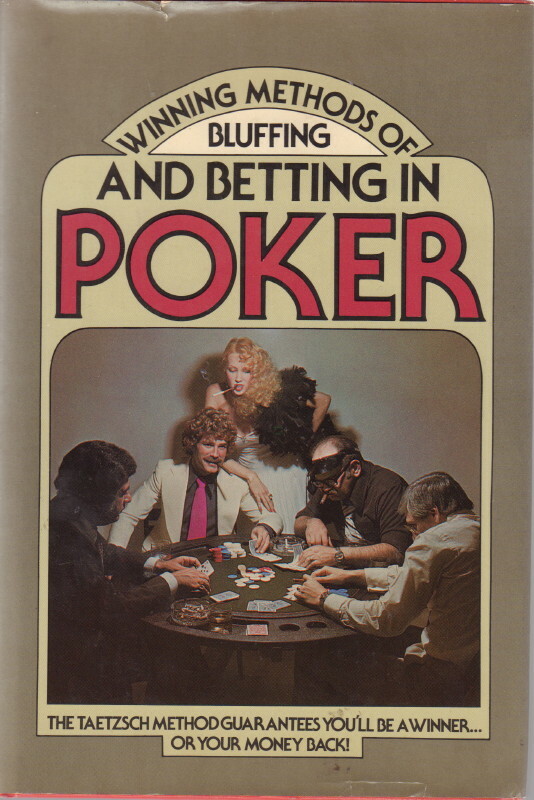 Home / Books / General / TAETZSCH, L. Winning Methods of Bluffing and Betting in Poker. TAETZSCH, L. Winning Methods of Bluffing and Betting in Poker. (New York, NY): Drake Publishers, 1976. First edition. Octavo. 138 pages. A guaranteed system for winning at poker or “your money back”. The volume deals with the art of bluffing, and the reading of bluffs. A very good copy in dust jacket.